Factory Equipment believes your safety should always be the top priority regarding the design, processing, and manufacturing of your new equipment assets. There may be numerous shapes and sizes of products available in each category. A 5-step ladder has a very different use than a bank of storage lockers. Yet you’ll find that every product in every category offers the same commitment to safety. Having safe equipment is good, but having equipment which features the application of modern factory resources while still providing a foundation of safe usage is better. Each product has the opportunity to meet your unique challenges in its own way. We ensure that your product, whether standard or customized, can meet or exceed current regulatory standards so that you and your team have the right tools to create success. How do we make sure that this high standard is consistently met? Through our three points of emphasis. Innovation. We are constantly looking for and creating innovative processes throughout the manufacturing cycle. This helps prices to remain competitive in an ever-evolving industry while ensuring that you receive the best possible equipment to meet your needs. Our network of contractors include some of the best and freshest ideas that are coming out of our industry today. Technique. Craftsmanship is just as important as the design of a product or the materials being used. You can have all the elements of a good product come together, but a poor weld can make it all come apart. At Factory Equipment, we look for craftsmanship consistency above anything else. By teaching technique fundamentals, when combined with high standards of quality control, we believe your product can be exceptional. Commitment. If you’ve ever been involved in any form of sales, then you’ve likely encountered the attitude which we call “Seller’s Delight.” Once the sale is made, it becomes next-to-impossible to receive any sort of ongoing service from that organization. They take your money and forget about you… unless they want to sell you something once again. Our industry does have certain challenges do the customized nature of many of our products, but our commitment to your satisfaction is guaranteed. If you’re not satisfied with any step of the sales or implementation process, then we’ll work with you to find the best possible solution. There are many standards, rules, and regulations that are in place which guide the design and manufacturing process in our industry today. At Factory Equipment, we believe in a process that is completely transparent. Whether we are working with our customers, our network of contractors, or looking for new product ideas, these are some of the resources we utilize to make sure the best possible product comes to the market. Through these and similar resources, Factory Equipment can establish a baseline of quality control which reverberates throughout the manufacturing cycle. We can accurately determine if products are being designed and manufactured to current US safety standards (or international standards if required for customized products shipped to a non-domestic address). We can then continually monitor the effectiveness of the manufacturing and design process so that costs stay low. Then we also gain the ability to gauge how well our contractors can produce work with accuracy and efficiency by developing individualized profile reports which measure their approach to tasks and processes. Why do we use factory resources like these? Because it allows us to ensure that the principles of safety, quality control, throughputs, and cost are all followed to the highest of standards. When consistency can be implemented within these principles, then you are much more likely to receive a standard or customized product which does more than meet your expectations. At Factory Equipment, we work with our network of contractors throughout the manufacturing and design process to ensure all regulatory requirements are either met or exceeded. This is done based on the standards that are published for product use by the US Government or their authorized representative. We also understand that these standards many not be good enough for your specific needs. Many communities have the ability to set their own safety codes, product standards, and similar regulations which may govern how you do business. International brands and businesses may also be subjected to different standards, regulations, or requirements as well. Please contact our team at Factory Equipment if you believe there are local, regional, or international standards which are greater than our standard regulatory points of emphasis which must be applied to your product. This will allow us to develop, create, or find the correct product that meets your needs and will keep your brand and business compliant with all local codes and regulations. There may also be local or regional permitting requirements that involve some of the equipment assets which are offered for sale by Factory Equipment. These requirements may also apply to customized orders. Our team cannot be responsible for obtaining any necessary permits for your brand and business, but we can work with you to develop equipment assets which meet or exceed local requirements. Contact our team for more details. At Factory Equipment, we firmly believe that when you have access to the correct resources, then you have the ability to design, manufacture, and produce the highest quality products with consistency. 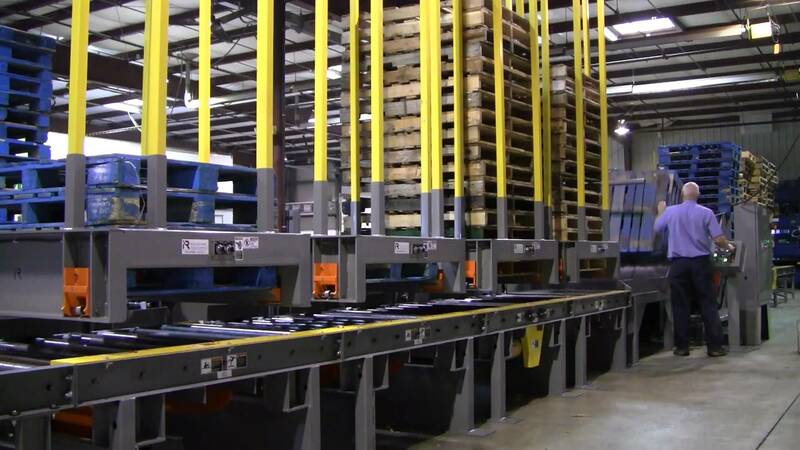 Through our points of emphasis and commitment to quality throughout each network and manufacturing cycle, you can rest assured that the best possible equipment asset at the best possible price will be delivered to you upon order placement. For more questions about the factory resources our team uses during every step, from product development to delivery, please feel free to contact our world-class team of customer service representatives today.